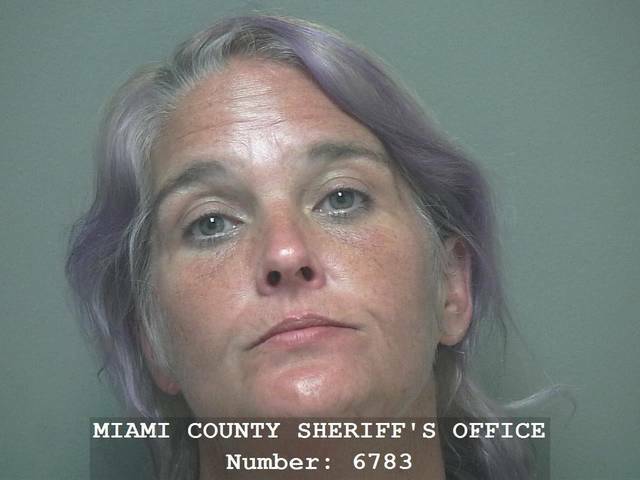 MIAMI COUNTY — A Piqua woman who told court officials “she didn’t think she had a drug problem” was sentenced to serve two years on community control for possession of drugs and aggravated possession of drugs, both fifth-degree felonies, in two separate cases in Miami County Common Pleas Court on Monday. Yvonne Wood, 51, remains incarcerated due to her involvement in a domestic violence incident over the weekend. Wood said she was trying to better herself, keep focused, and apologized to the court. “I’m sorry I put you guys through everything,” she said. Judge Christopher Gee questioned Wood about her drug use, methamphetamine, and asked if the drug was part of the domestic violence report from the weekend. Gee noted that children in the home called 9-1-1 and told officers Wood was “a crazy woman.” Wood denied drug use during the incident. In the pre-sentence investigation, Wood claimed she hasn’t used meth since June. “Ms. Wood, I don’t have a high confidence level in the things you tell me,” Gee said. Wood was ordered to pay $150 in each case for drug testing. Gee reserved a year in prison for each case if Wood violates community control. Wood said she worked as a Salvation Army bell ringer and cleaned houses as employment. Gee ordered Wood to obtain full-time verifiable employment as part of her community control conditions. Gee also said he would leave notes to the next judge about his severe reservations about Wood’s conduct.